His career started when Usha Khanna [after listening to his voice in a cassette] called him on April 1986, to sing a qawwali, "Mere Dil Main Hai Andhera, Koi Shamma To Jala De" in Do Yaar. Mohammed Aziz was his co-singer. Vinod recorded no less than 40 songs for the composer, and also sang for composers like Ajay Swami and Surinder Kohli in his struggle phase. 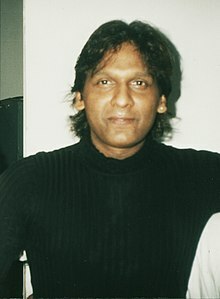 His TV serial title song, "Yeh Jeevan Hai Akash Ganga" for the serial Akash Ganga proved very successful amongst viewers. He entered the big films league when composers Shiv-Hari called him to record "Baadal Pe Chalke Aa" with Lata Mangeshkar and Suresh Wadekar which proved popular and "Zindagi Har Janam Pyar Ki Dastan" with Lata Mangeshkar in Yash Chopra's Vijay in 1988 proved to be a greater success. Vinod was the voice of Rishi Kapoor in this multi-starer film. He then sang for Rishi-Yash-Shiv-Hari again in Chandni in 1989. This song, "Parbat Se Kaali Ghata Takrai" with Asha Bhosle also proved a hit along with "Sheharon Mein Ek Shehar Suna" with Lata Mangeshkar. However, he got his real break in 1992 when Laxmikant-Pyarelal offered him "Romeo Naam Mera" for Roop Ki Rani Choron Ka Raja. It has proven to be one of the biggest hit of 1992. Laxmikant-Pyarelal rapidly called him for more films, which instilled confidence for Vinod among the other composers like Anu Malik, Bappi Lahiri and Anand-Milind. As luck would have it, Nadeem-Shravan (Shravan is Vinod's elder brother) were at the crest of popularity, and though Nadeem favoured Kumar Sanu he gave Vinod Rathod the onus of being the voice of Shah Rukh Khan in Deewana. "Aisi Deewangi" with Alka Yagnik proved a rage and "Koi Na Koi Chahiye Pyar Karne Wala" too proved popular. This film was also released in 1992. By 1993, Vinod Rathod was a very busy man. Laxmikant-Pyarelal gave him excellent songs in several films like Bedardi, Dilbar and many other films, and decided that he would be the major voice of Rishi Kapoor in the R K film Prem Granth. Their hits with him included "Jab Se Main Jara Sa Badnam Ho Gaya' – Gumrah and "Nayak Nahin Khalnayak Hoon Main" – Khal-Nayak. Anu Malik swept aside Nadeem-Shravan by late 1993–94 and Vinod Rathod was very much there in hits like "Ae Mere Humsafar", "Kitabein Bahut Si", "Samajhkar Chand Jisko" and "Chupana Bhi Nahin Aata' – Baazigar. Followed Ladla, Elaan, Agnisakshi, Muhabbat Ki Arzoo, Chahoonga Main Tujhe, Gambler, Parampara, The Gentleman, Zamana Deewana, Shreemaan Aashique, Maidan-E-Jung, Policewala Gunda, Hum Sab Chor Hain, Chaahat, Vastav and the hits "Duniya Ye Duniya Very Good Very Good" – Trimurti and "Dil Dene Ki Rut Aayi" – Prem Granth. Anand-Milind made him the voice of Govinda in films like Raja Babu, Rajaji, Hero No. 1, Dulhe Raja, Ankhiyon Se Goli Maare and Banarsi Babu. He also sang the popular Main to hoon paagal munda for Shahrukh Khan in 1996 in the film Army. Vinod had a triumph of sorts in the Zee Telefilm, Mr. Shrimati, in which he sang "Aashiq Ki Hai Baraat". His other hits include his songs from Deewana Mastana, Army, Hero No. 1 and Dulhe Raja, Tere Mere Sapne, and his latest chartbuster, "Dholi Taro Dhol Baje" – Hum Dil De Chuke Sanam, "Chalak Chalak" – Devdas, "M Bole To" – Munna Bhai MBBS which has given his career a new boost after 1999. His songs from Chal Mere Bhai have proved popular too. “Main Hoon Number Ek Gawaiya" from Saajan Chale Sasural proved his classical excellence which he has incorporated from his father. Not only a huge list of production houses Vinod has sung more than 3500 songs in various languages such as Hindi, Nepali, English, Gujarati, Marathi, Sindhi, Punjabi, Bengali, Oriya, Tamil, Kannada, Telugu, Rajasthani, Bhojpuri and Persian. He is the uncle of music composers Sanjeev-Darshan, brother of music composer/singer Roop Kumar Rathod and music director Shravan Rathod. He entered the big films league in 1988 and he had received two times nomination for Filmfare Award for Best Male Playback Singer for his best performance in "Aisi Deewangi" from Deewana and "Nayak Nahin Kahlnayak Hoon Main" from Khalnayak. He has sung for all the leading composers and his most popular co-singers were Sadhana Sargam, Anuradha Paudwal, Asha Bhosle, Lata Mangeshkar, Alka Yagnik, Poornima and Kavita Krishnamurthy. "Samajh Kar Chand Jis Ko"
Khalnayak "Nayak Nahi Khalnayak Hoon Main"
The Gentleman "Hum Apne Gham Ko"
1995 Trimurti "Very Good Very Bad"
Zamaana Deewana "Zamaana Deewana Ho Gaya"
"Soch Liya Maine Aye Mere Dilba"
Deewana Mastana "Yeh Gaya Woh Gaya"
"Tere Bina Dil Lagta Nahin"
Army "Main To Hoon Pagal Munda"
Prem Granth "Jungle Mein Sher"
"Is Duniya Men Prem Granth"
1997 Hero No. 1 "Maine Paidal Se Ja Raha Tha"
1998 Dulhe Raja "Dulhan To Jayegi (Dulhe Raja)"
2000 Chal Mere Bhai "Aaj Kal Ki Ladkiyan"
Akhiyon Se Goli Maare "Dehradun Ka Chuna Lagaya"
"Ladka Mud Mud Ke Maare"
Chor Machaaye Shor "Kaan Ke Neeche"
Hum Kisise Kum Nahin "Kya Kehna"
2003 Munna Bhai M.B.B.S. "Chan Chan"
Parwana "Duniya Mein Aaye Ho"
Lage Raho Munna Bhai "Lage Raho Munna Bhai"